The first house is a step towards providing protection to those who need it most. Jason Ballard, one of ICON’s three founders, says he will try to use the house as an office to experience its practical use. With the help of the Vulcan printer, ICON can print an entire home for $ 83,000 and plans to reduce costs to 33,000 kr per house . When ICON completes its tests and adjustments of the model, the company will move the Vulcan 3D printer to El Salvador and start printing. 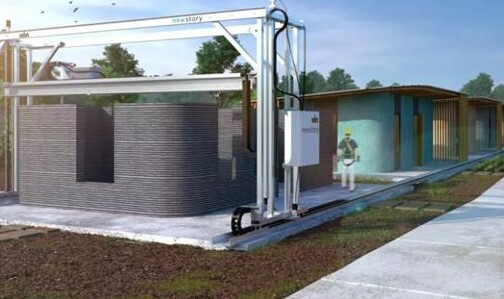 ICON also says that this 3D print house will create friendly little waste and that labor costs will be reduced. ICON plans to build houses in the United States in the future. The company is convinced that 3D printing will be a commonly used method for all types of housing. Their visions already look beyond the global housing crises and extend to thinking about societies that one day will be outside the world.